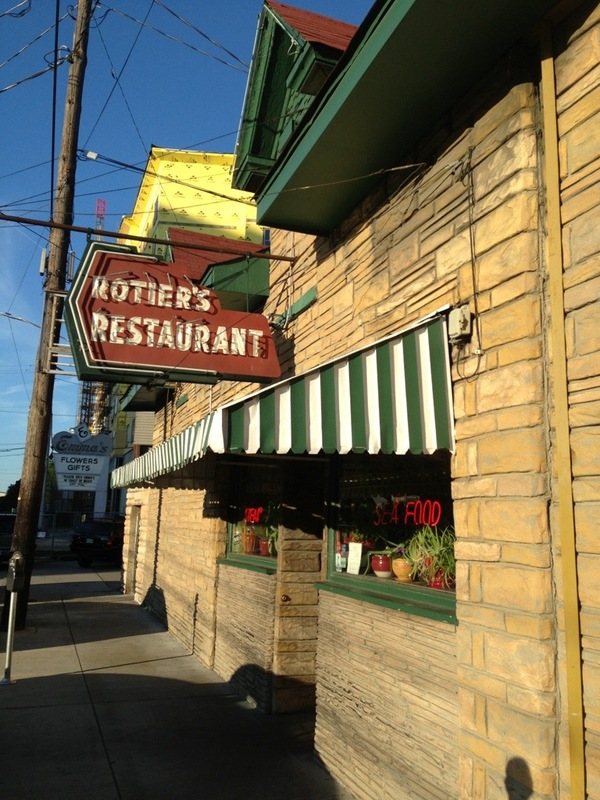 I had decided, on the drive up to Nashville, that this was the day to try Rotier’s Restaurant for a burger. They’ve been atop Nashville’s best burger list for years. Located in Nashville’s West End, the parking is, effectively, non-existent. There is street parking available (a total of about five spots in front of the restaurant), but all of the lots nearby are clearly marked they will tow you if you’re not shopping at X or dining at Y. I found a spot at a meter about four blocks away and walked back to eat. Walking through the front door was akin to walking back into the 60s or 70s and stepping from Nashville into Chicago. You walk into the front door, looking straight at the bar. 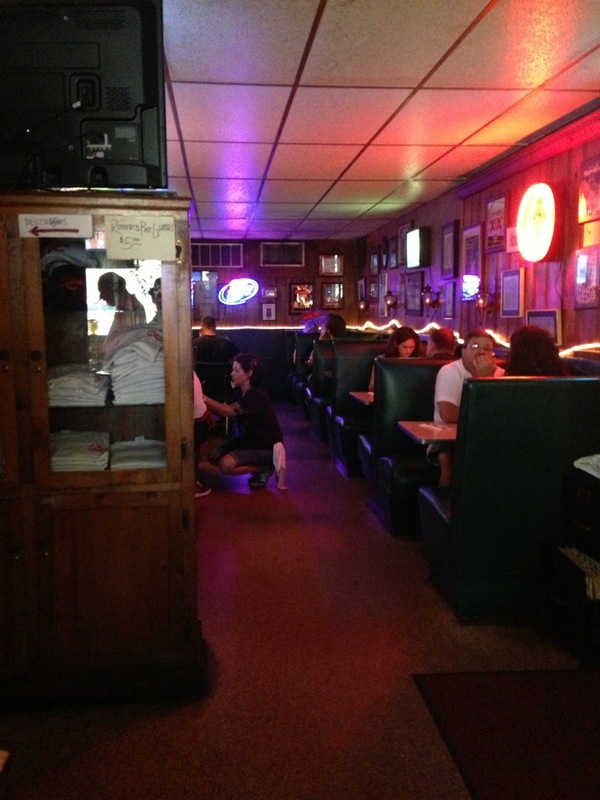 The bar fronts the kitchen, with a couple of booths to the left, a couple of booths to the right and the remaining booths behind those, in a very narrow U-shape, lining both walls and the back (pictured below). in about ten minutes. The fries were very good – that’s always a great starting point. They didn’t have Heinz ketchup, but they didn’t have Hunt’s either, so it could have been worse. 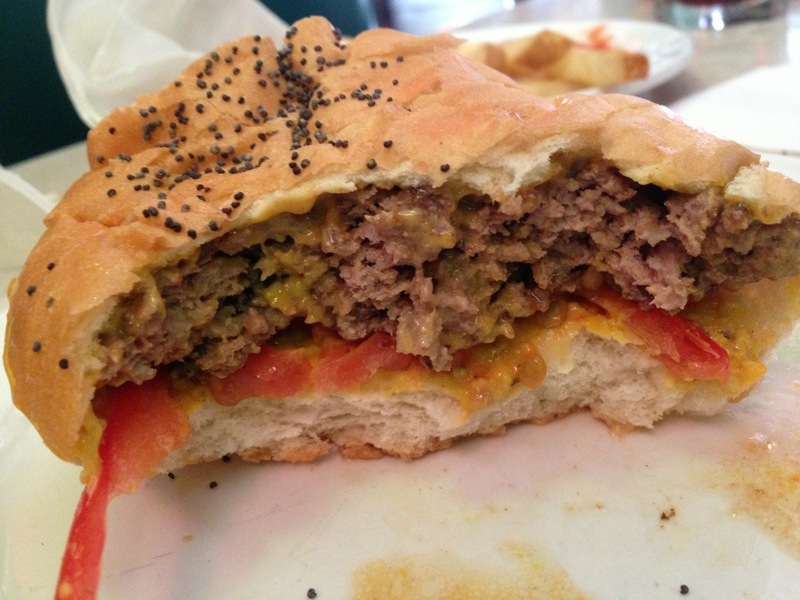 Their burger is normally served with mustard, pickles, lettuce and tomato – I had mine without the lettuce or pickles. It is quite a tall burger on the French bread, so I squashed it as flat as I could to make it easier to eat. It was an exceptional burger, six ounces of beef, grilled to a solid medium (I don’t remember them asking me how I wanted it cooked). I did not leave a bite on the plate. 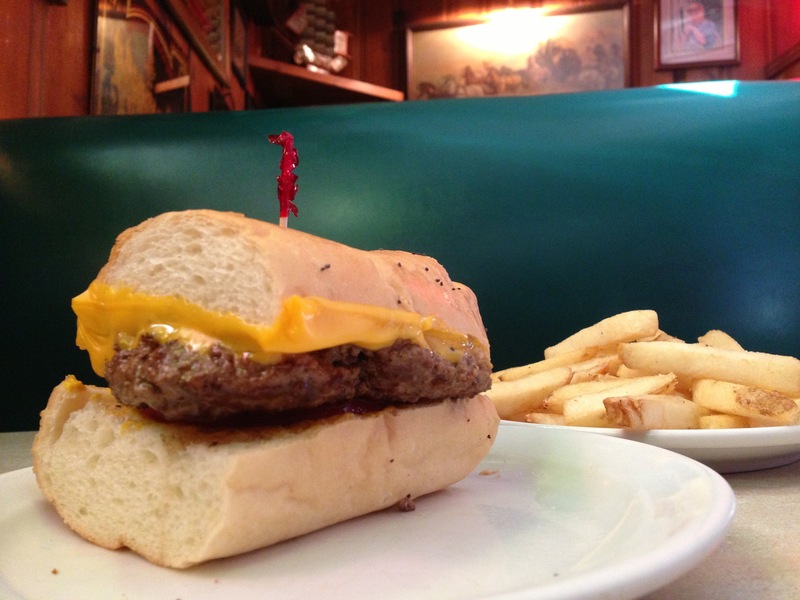 There is a rumor that Rotier’s is the place of which Jimmy Buffet was thinking when he wrote “Cheeseburger in Paradise”. This is apparently not true, but I can see where the impression came from. I don’t know about being “heavenly”, but it was a helluva good burger.